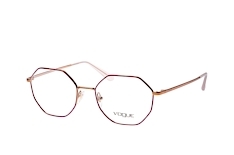 The fact that Vogue glasses share their name with a famous fashion magazine is not a coincidence: since the label was founded, it has specialised in the design and production of exclusive, stylish glasses. 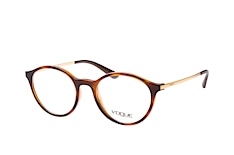 The latest shapes, colours and details are an integral part of the Italian brand's concept. This is what makes them the preferred choice of trendsetters and fashion enthusiasts. 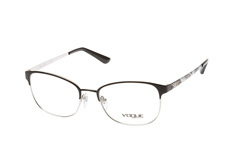 Vogue glasses prove that extremely fashionable eyewear doesn't have to cost the world. 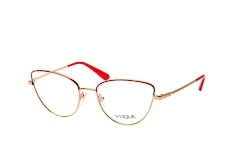 Vogue Eyewear has existed since 1973 and was already ahead of its time when it was founded: long before glasses generally became a fashion accessory, the label made stylish glasses affordable. The brand continues to follow this principle to this day and combines it with a high standard of suitability for everyday use. It can rely on the know-how of one of the largest eyewear manufacturers in the world: the Italian company, Luxottica. Vogue has been part of its subsidiary group since 1990. 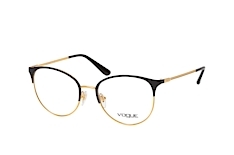 The clear positioning in the premium fashionable segment is also reflected in the selection Vogue brand ambassadors: among them, for example, is the well-known US model, Gigi Hadid. 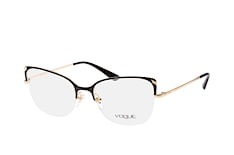 You have discovered a hot glasses look on Instagram or on a fashion blog and want to recreate it? 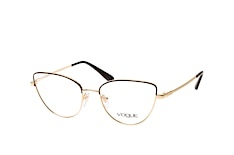 There's a good chance you'll find the right model in the selection of Vogue glasses. The brand's designers often pick up on the latest trends prior to many competitors. The most recent example is the comeback of smaller metal glasses, that provide a change from heavier frames. 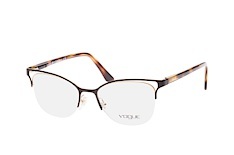 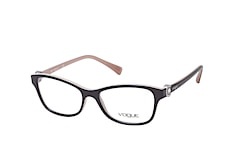 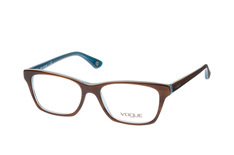 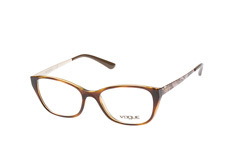 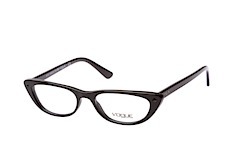 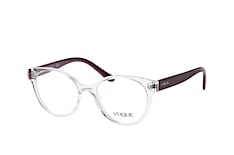 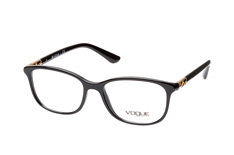 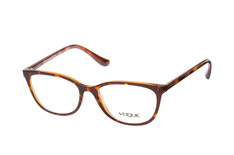 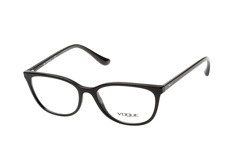 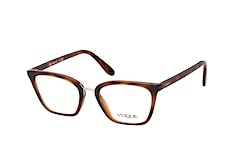 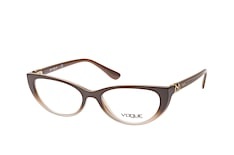 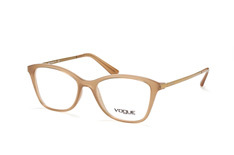 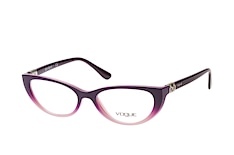 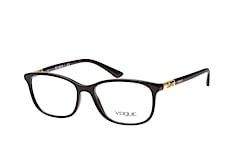 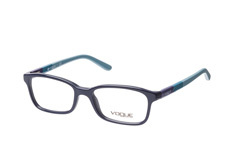 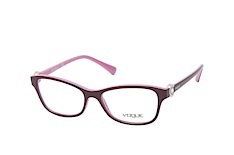 Vogue frames in this style are available in many different versions. The spectrum ranges from circular, intellectual "nickel glasses" to romantic, heart-shaped models. 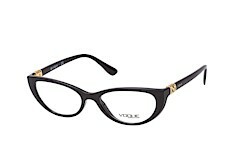 Also making a reappearance are the cat eye glasses made of plastic. The Vogue frames in this style are sometimes a bit smaller and as such combine elements from the 50s and 90s. In some models, the shape is also strongly accentuated and deliberately "exaggerated" to enhance their extravagant aura. The Vogue eyewear designers are constantly discovering new aspects of these well-established and popular panto and trapezoidal shapes. 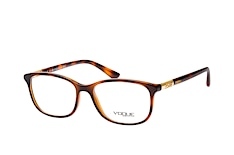 Here, they rely above all on the play of colours and materials, to create the most varied effects. 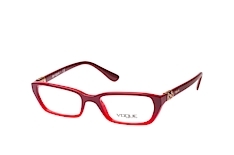 The combination of a fiery red, slightly transparent frame and golden temples with round panto lenses is very classy and elegant. And speaking of which: the collection offers a whole range of different shades of red. 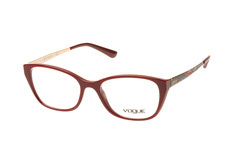 This allows you for example, to match your frame to your favourite lipstick. 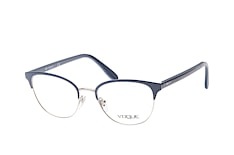 The fact that panto glasses can also appear extremely sporty is demonstrated by a pair in royal blue plastic with dynamically curved inlays in the temples. 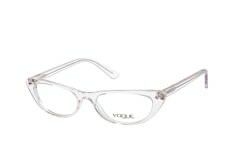 And for those that love a futuristic look, there is a model with a completely transparent frame. 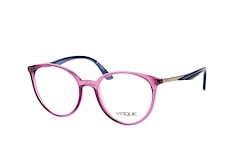 Just as interesting are the Vogue glasses with colour gradients, where the frame gets lighter towards the bottom. 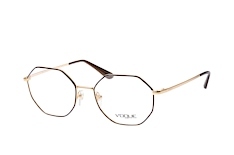 These create a similar effect to half-rim glasses: the glasses overall appear to be lighter and emphasise the eyebrows more. 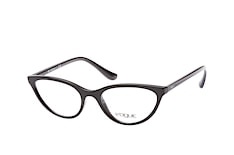 Take a look around the Mister Spex online shop today and discover more than 3,000 different frames. 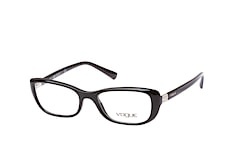 In addition to Vogue glasses, we stock many other renowned brands. Whether you are after extremely trendy ones or rather classics: with us you'll find a frame that ideally highlights your personality quickly and comfortably. 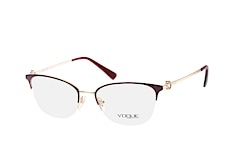 You can enter different search criteria such as colour, lense shape and face shape. This will quickly and conveniently present you with a relevant preselection. 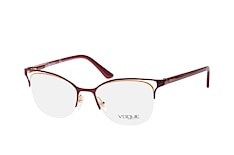 With our 2D or 3D virtual fitting, you can check out which models best suit your facial features. 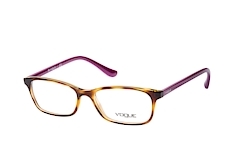 It's easy to make a final decision at home: you may order up to four different pairs of glasses for up to ten days - free of charge and without any obligation. The glasses are cut to the appropriate thickness in our very own workshop in Berlin. 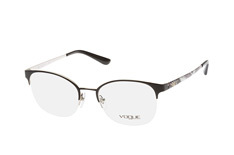 This service is included in the price, as are the quality lenses with extras such as a hard finish and an anti-reflective coating. 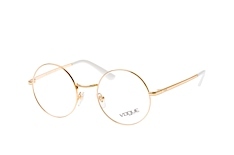 Your savings: up to 50 percent. 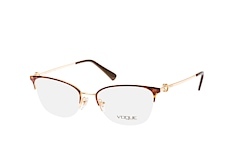 Free shipping and a 30-day returns policy complete our offer.